There are 2551 posts in this topic. You are on page 32 of 52. Had a casualty today. Kind of disappointing. Wow, please share with Stern so they send out a replacement and they track how many of these occur Incase recall. Did he sheer off at the hips or is it fixable? Given the amount of shaking and ball action, that body interior is WAY too hollow. It should have been solid, like they did for Iron Monger where they filled the hollow off-the-shelf toy design with epoxy to strengthen them. Thanks for your feedbacks about the gameplay. Maybe consider to get one during the year. 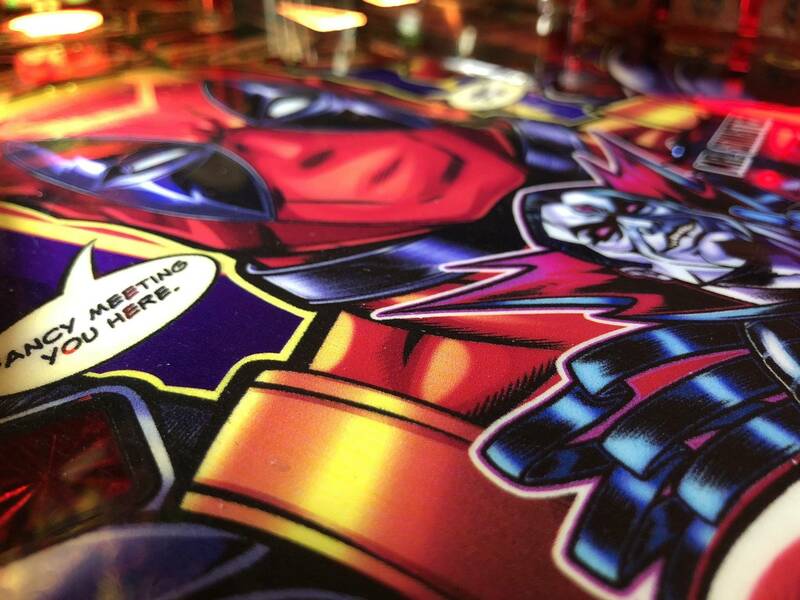 I'm not in the Pinball club for a long time, but we like pinball with deep rules. We already have a TZ and a TSPP. Now we would like to add another one, witch is not too much simple, not too quickly boring for us, but more accessible for friends who are not expert. Yes or No to shaker motor on a Pro? I just got a pro last night, came with a shaker. Ive played a few without. Definitely a worthwhile add for this game! 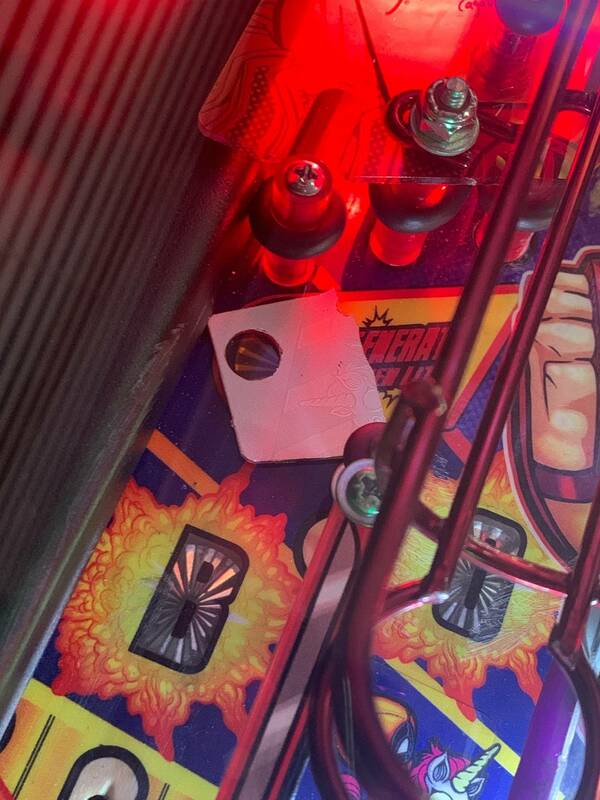 Anyone else experience the ball getting wedged under the gate at the top of the playfield when you plunge. If I do a full plunge, the momentum isnt enough to bounce off that gate 75% of the time and it just gets wedged there. Ball search rarely is able to knock it loose. Is there a way to adjust that gate? Sounds like the machine is too flat. 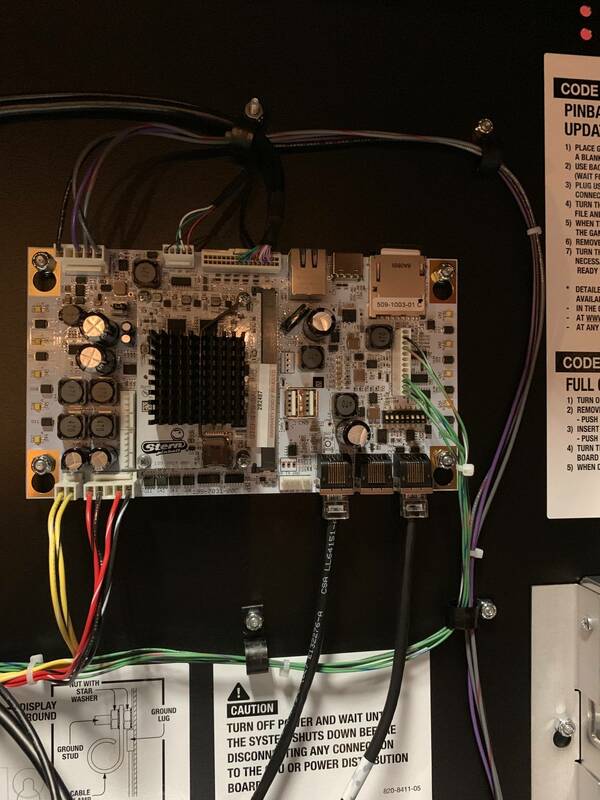 What's your playfield pitch? 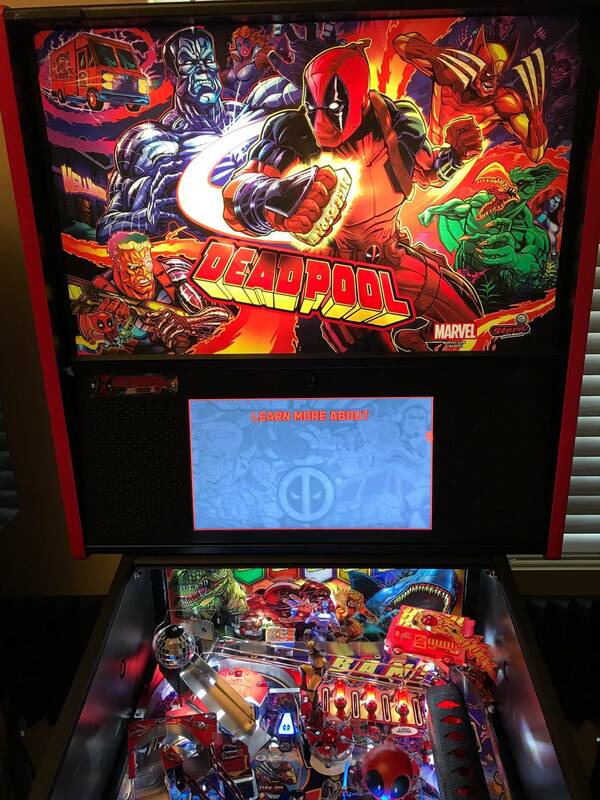 I was playing a Deadpool on location yesterday...does anyone else have issues with the ball launching off the top of the left ramp? 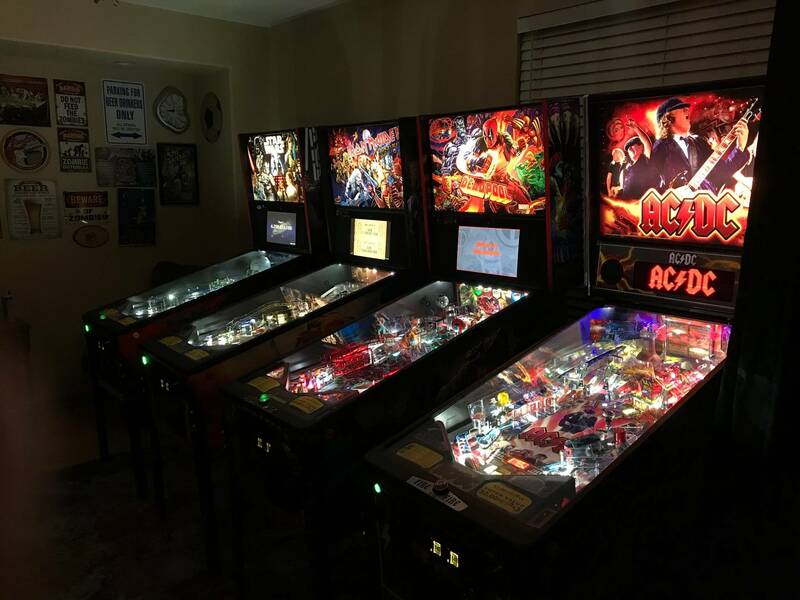 Is this a matter of turning the power down on one of the flipper coils, or is something not set right. The ball launched off the top of that ramp and into the top of the palyfield numerous times yesterday. It was at 6.4 degrees front to back. 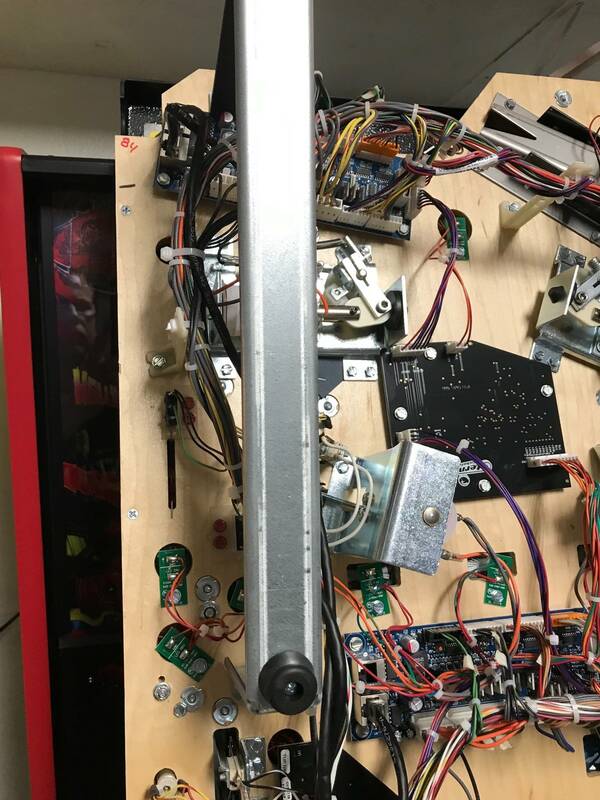 I raised the back to 6.7 and took that ball gate apart and bent the metal a bit to raise its position. Its working correctly now. Also the katana switch back ramp shot seems more consistent at 6.7 than 6.4. Here is another observation as an owner for 2 days of a pro. Why is the right orbit so clunky and why as the elevated shooter lane not implemented? Most of Sterns games seem to have the shooter lane sort of ramp up so that the right orbit is silky smooth AND prevents the ball from ever rolling back into the shooter lane. This game doesn't have that and its very strange. Was it intentional cost cutting? Did someone really think this was a better design than the shooter lane ramp like Metallica and others? This is my only complaint about the game at this point, just curious others thoughts on this. I am really enjoying the game a lot and look forward to getting deeper into it, just sort of disappointed with the tendency for a failed or clunky right orbit shot and a pretty regular occurance of the ball inadvertently rolling back into the shooter lane....could have been so easily avoided. This game doesn't have that and its very strange. Was it intentional cost cutting? Did someone really think this was a better design than the shooter lane ramp like Metallica and others? 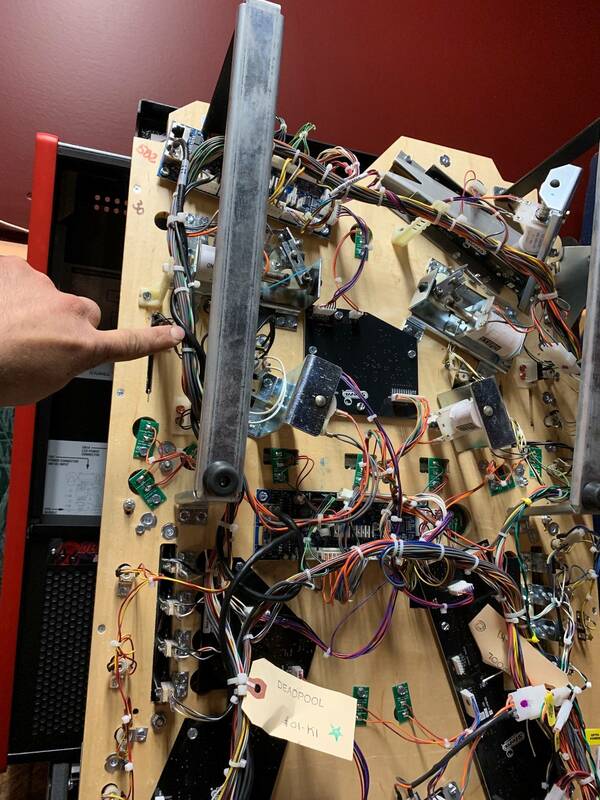 Maybe it's designed that way to stop the short/plunge to right flipper playfield exploit seen on so many machines, BM66, Met, GotG, GB, GoT, AS and so many others. Personally I prefer it this way. There’s a lane guide you can take out and it makes the right orbit much smoother. Take advantage of having the ball fall in the shooter by either soft plunging to the top lanes, or adjusting the auto plung to about 110 so it fires it up to the top lanes. Then work on building your bonus multiplier. I am willing to bet that the plastic with DP in a hammock has shifted or been removed from the turn in the ramp. I saw that happen on ours with the same results. Yes. I put an authentic Stern shaker kit in my DP Pro and it's great. I did rotate one of the weights 90º to dampen the effect, though, because at full-strength it was so *loud* that the sound of it distracted from the game. You're absolutely right, I went back and looked at a picture I took, and the hammock is rotated 90 degrees off the one mount. This makes perfect sense now. Here is another observation as an owner for 2 days of a pro. Why is the right orbit so clunky and why as the elevated shooter lane not implemented? When you buy a Gomez design, it will be clunky. That's all you need to know. He's the King of Clunky, especially in the modern Stern era. Yay! 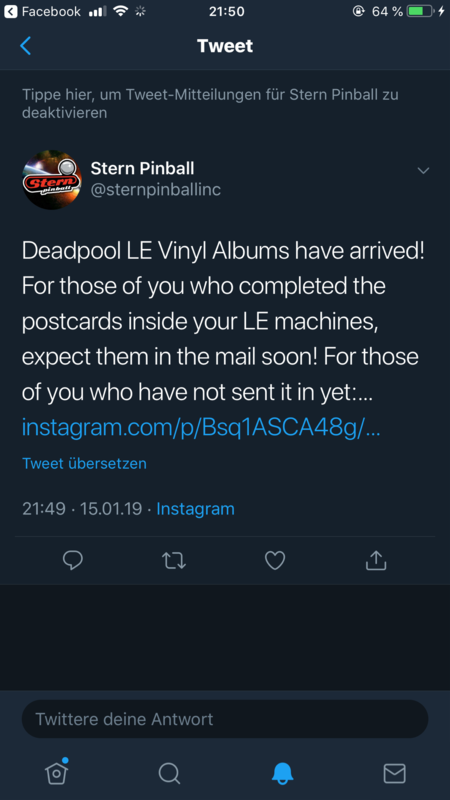 Deadpool LP's have arrived @ Stern HQ. Guess however long it takes to ship / etc to go.. Awesome! Time to go find my old Technics turntable! 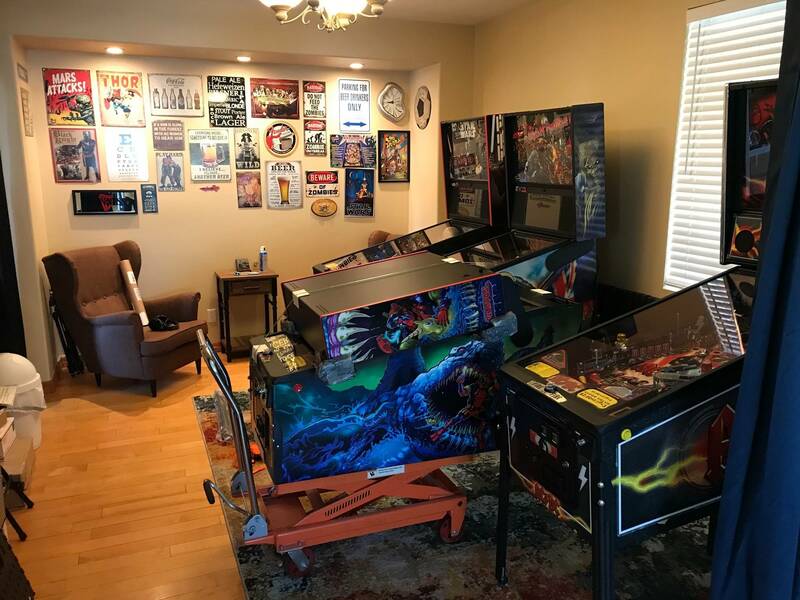 Anyone want to sell me their LP? 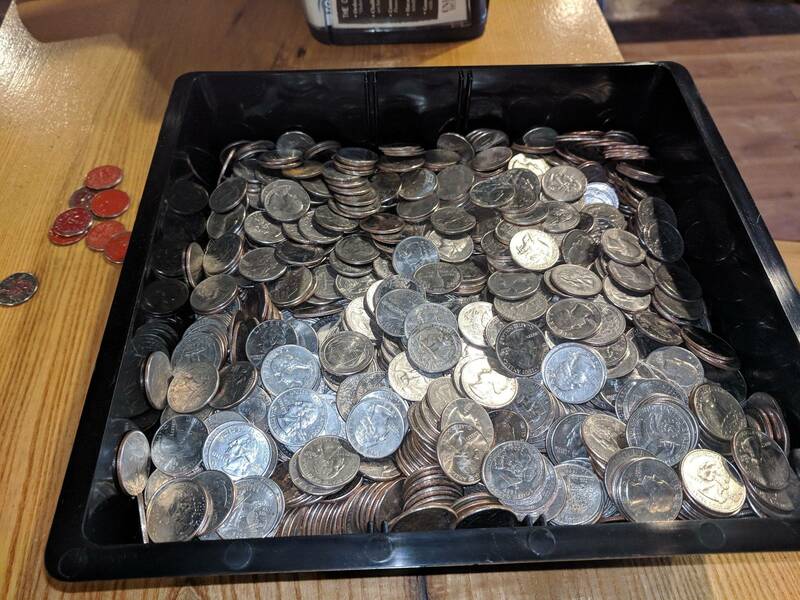 Sure, $500 and you can have mine. So you’re saying you really want to keep yours. Is that to much? For a limited LP? So when will the downloadable songs be available? I didn't tear apart the goodie bag inside the game, so if the information is in there I apologize. Got my LE today! Are custom free play cards available anywhere? I’ve been using these ones another pinsider made. Several guys have made free play cards. You can look through the image gallery for this thread and I think there’s at least three different styles guys have made. 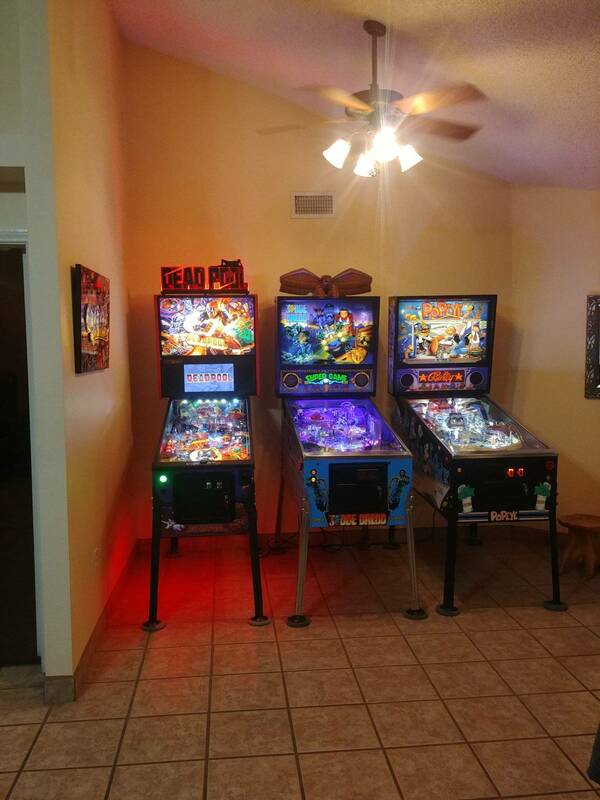 Right before Christmas I traded my lightly modded Metallica Pro with around 3500 plays on it for a practically brand new Deadpool Pro that came with the under-cabinet lighting and the topper. To be honest I was worried about regrets getting rid of the Met Pro (It was my first pin and I bought it brand new) but I have not felt that at all. Even more since the new update which I feel made the game a lot more fun. 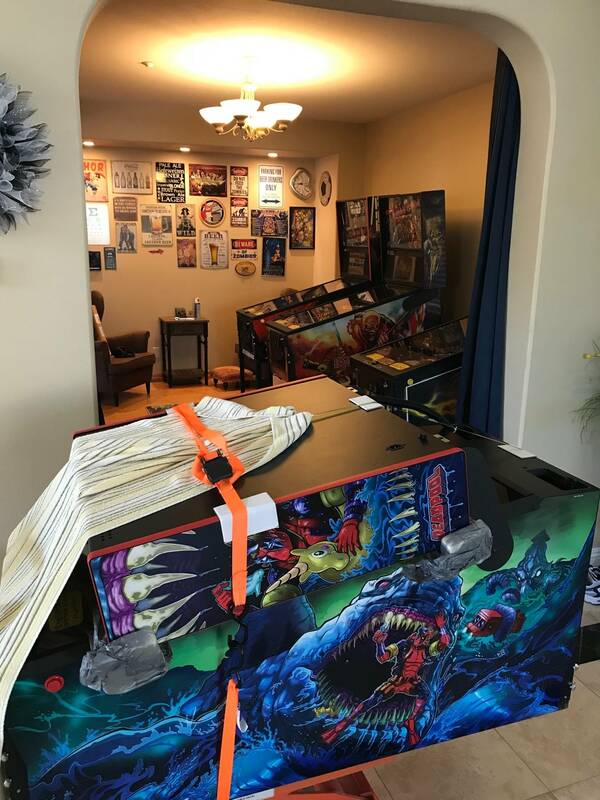 I know a lot of people are going to hate me for saying this, but I feel like Metallica is a very over rated game. It’s a simple fan setup with nothing too special and was extremely hard to stay consistent with the game. And let’s be honest. 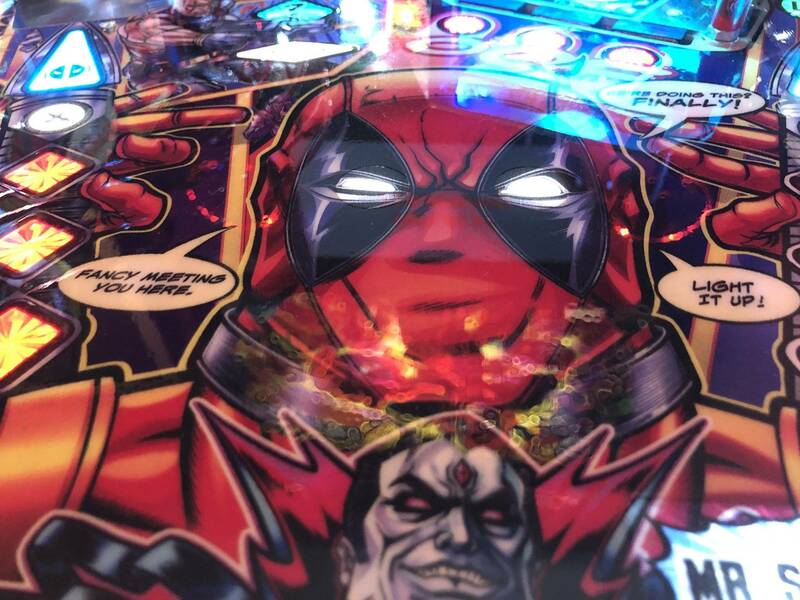 Sparky isn’t a whole lot different then the Deadpool toy minus the magnet (after about 500 plays on a new magnet in Met you’ll start seeing the ball ramp off it and required adjusting a lot for the game to play right). 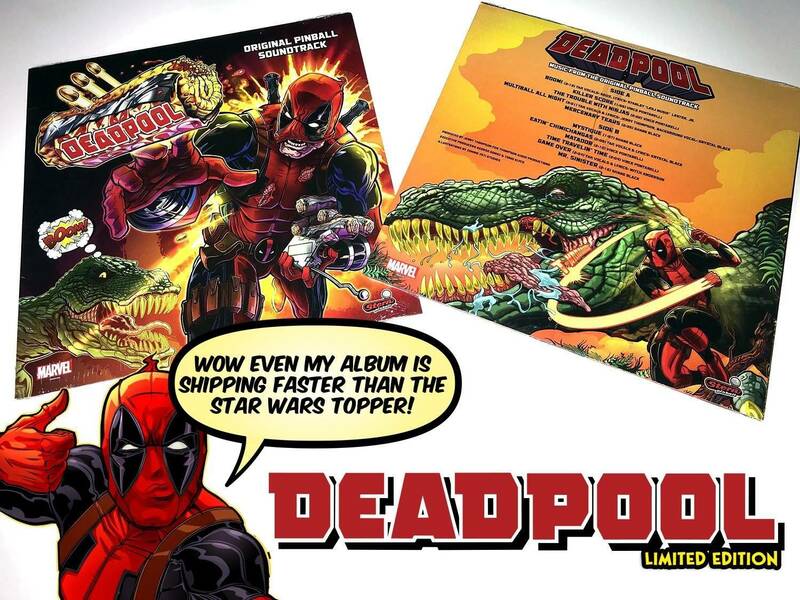 I personally feel like Deadpool blows Metallica out of the water. I feel like I got the better end of the deal. I can believe you came to that conclusion. You have Popeye and Judge Dredd. 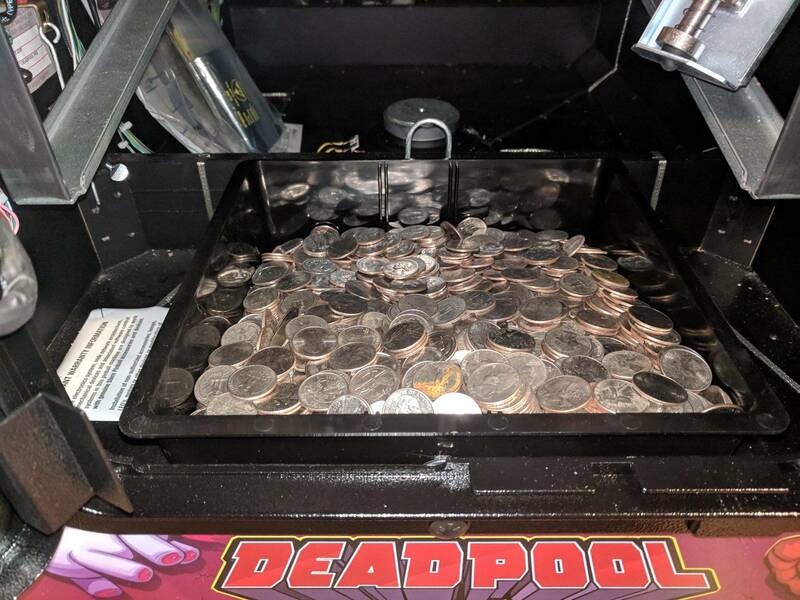 Has anyone had issues with little Deadpool 3 bank drop targets? 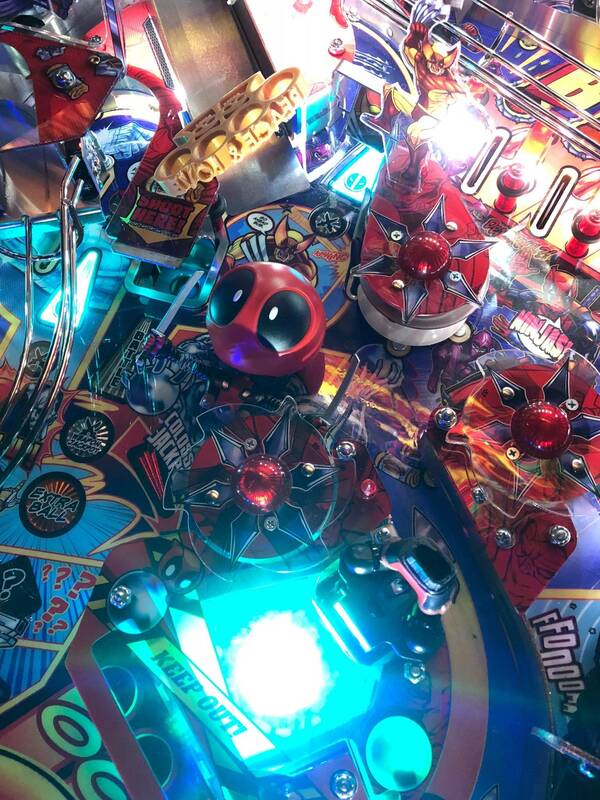 The ball gets stuck behind them and won’t release for the multiball when hitting the targets! 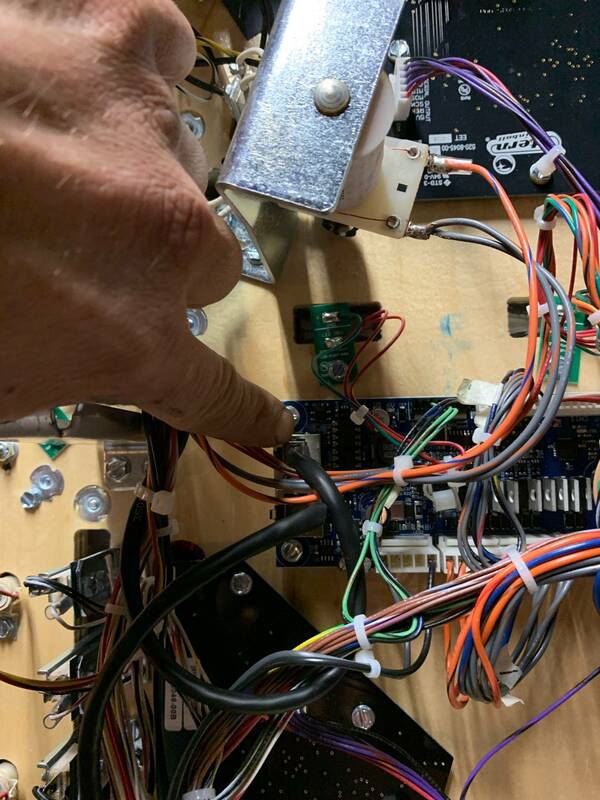 I did an opto switch test, coil drop target test, checked pin plugs and all is good, can seem to find the problem? Got me stumped! Is it software related maybe? 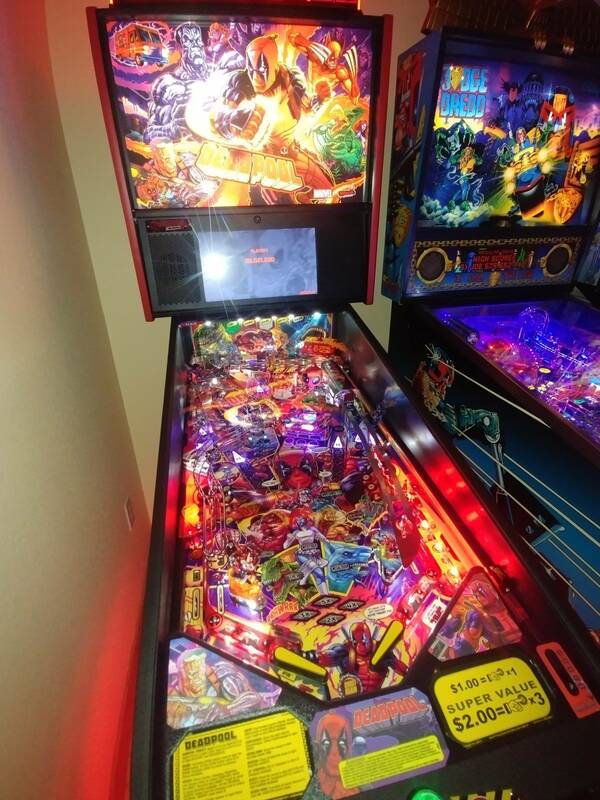 I haven't had that but here is an issue I have seen quite a few times - the Hellhouse "Battle" light is lit, I make the shot in there, and it immediately kicks the ball back out, I have had to hit that shot sometimes three times with the Battle light lit before it starts the battle. I’m pretty sure someone had a similar issues many many posts ago. 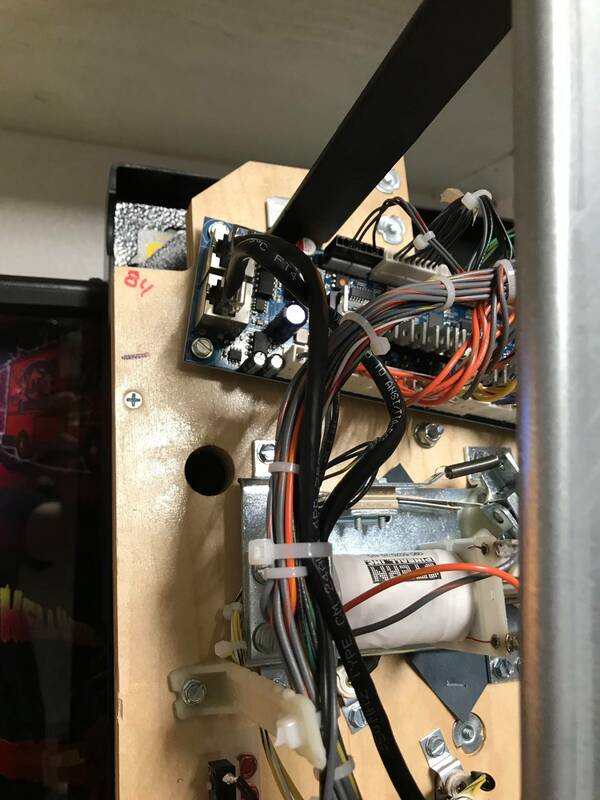 I think it had to do with adjusting where the drop target bank was under the playfield. 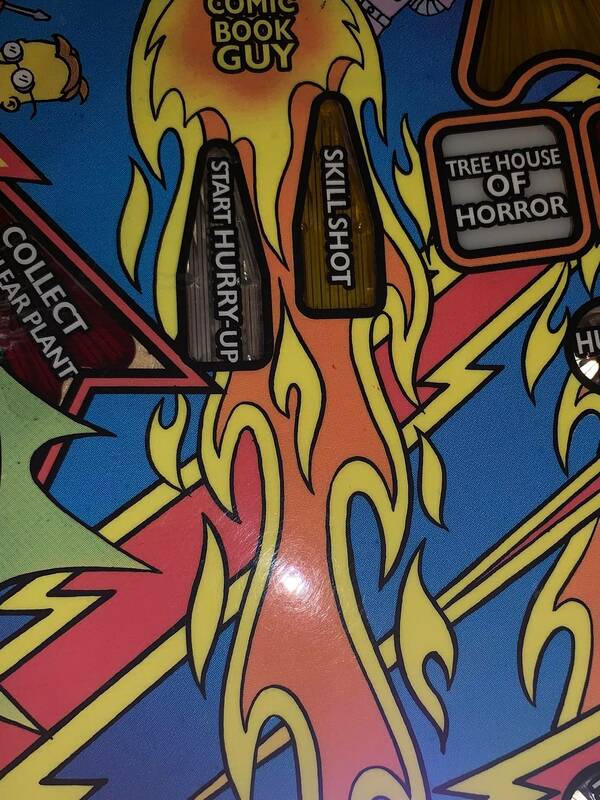 I think the drops were hanging up on the edge of the playfield, or something like that? I have not had this issue just thinking back to someone else’s post. 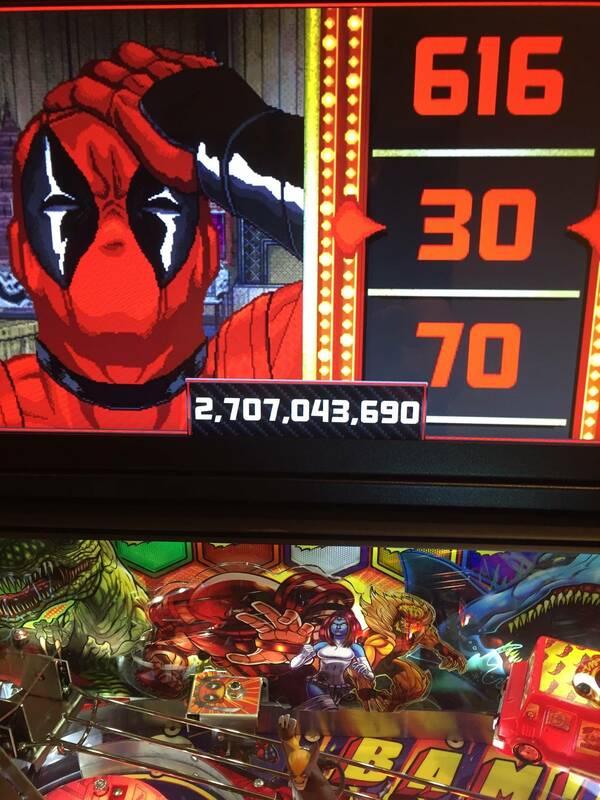 I have been experiencing this in Lil' Deadpool Multiball on my Pro v.97. It happens maybe 1 out of every 4 plays? My hunch is that this is software, because I notice that sometimes the drop targets will drop and release the captured ball eventually (still during the MB mode) without being hit, and if not before the end of the MB mode, definitely as soon as the other ball[s] drain. I don't remember experiencing this on v.96 or v.95. I did see that post with similar issue. 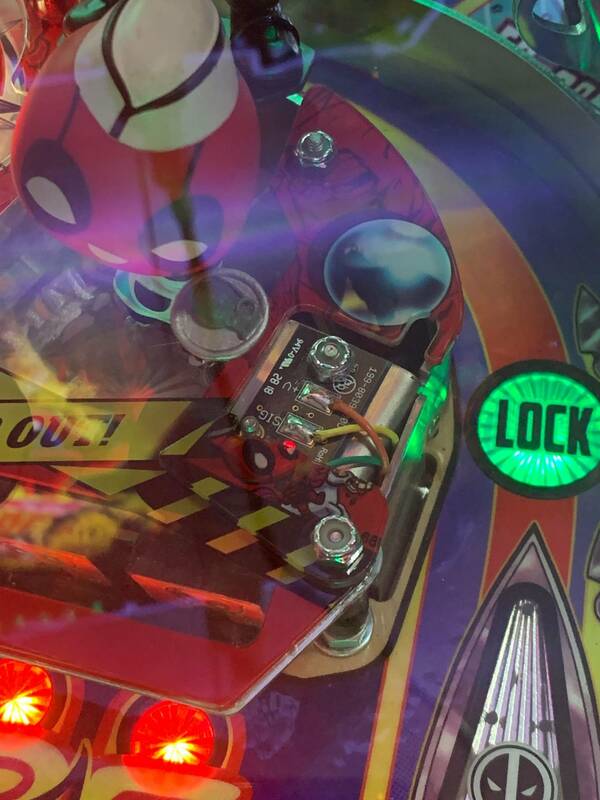 I have noticed that my drop targets are clear from the playfield - it’s not touching. Weird coz never had this issue before only when plug is loose. I’ll keep looking into it. Thanks guys! I just did a quick eBay search for sold listings of “LP limited 500”. Most sold for $60 or less. Guess for that price I will keep it and play it, not worth anyone selling theirs. Im not sure what you mean by that. I guess I like unique play-fields....? 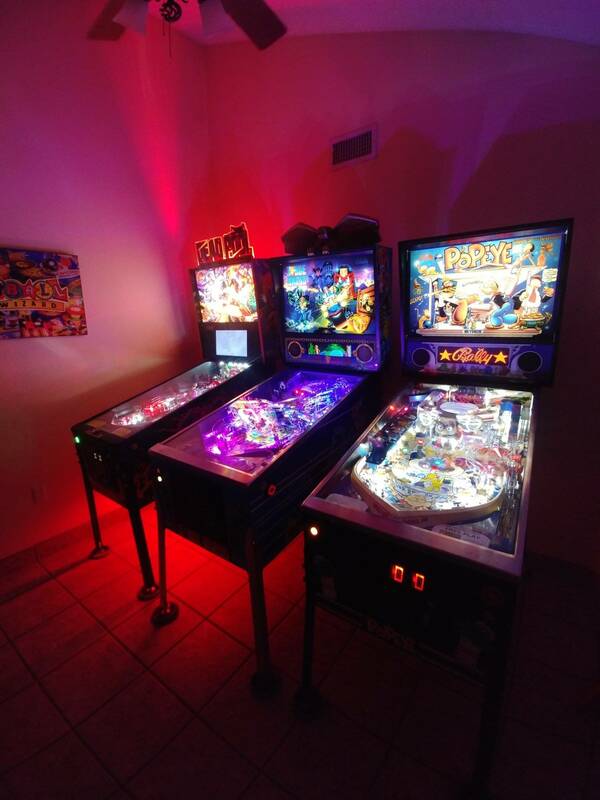 Last update added some really fun enhancements (Mechsuit multiball & Berserker).